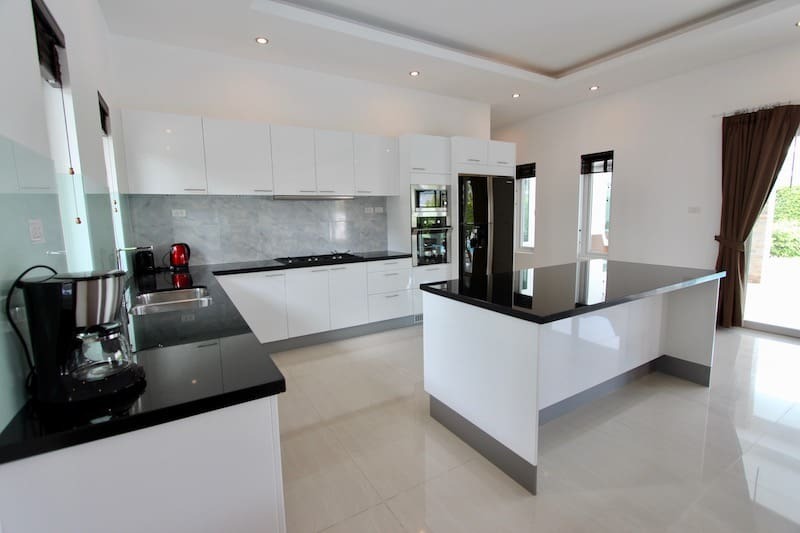 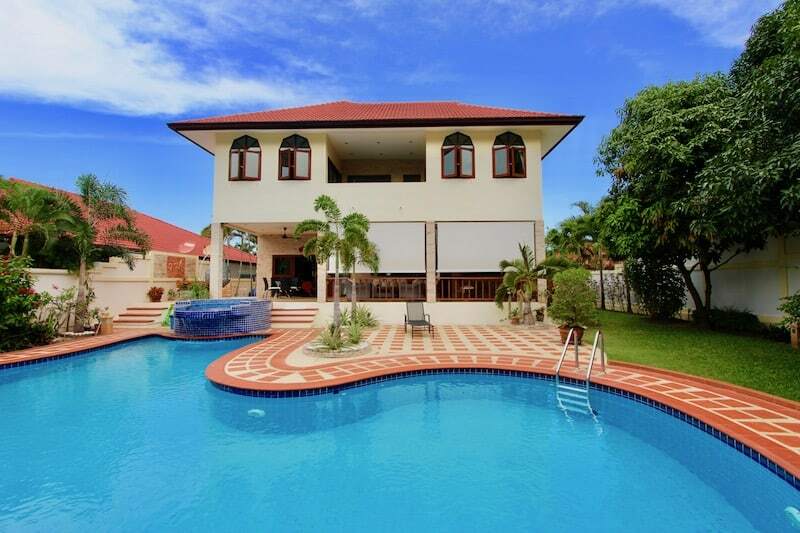 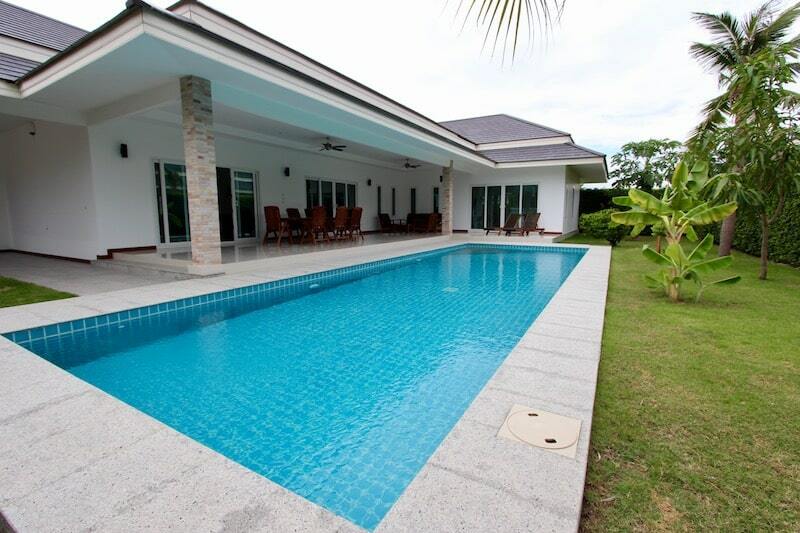 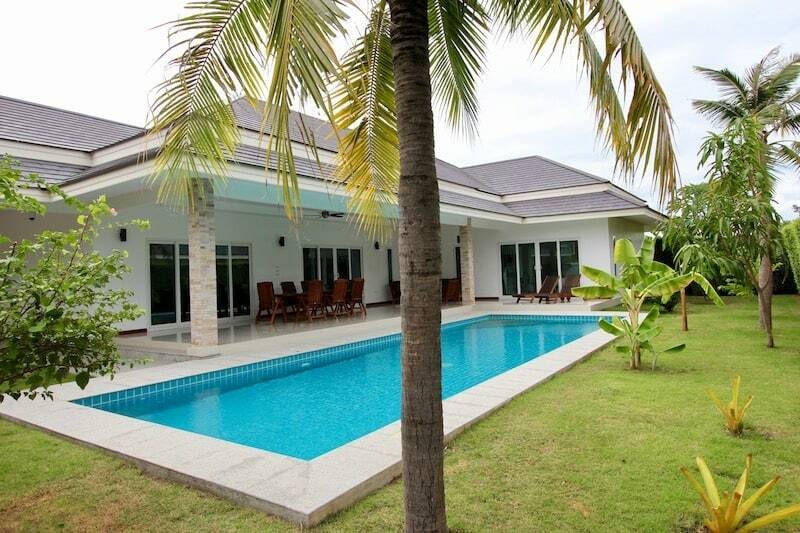 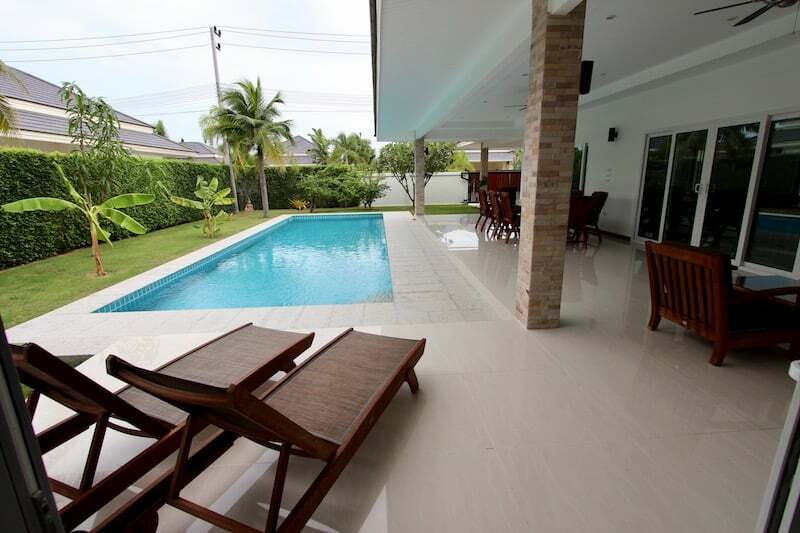 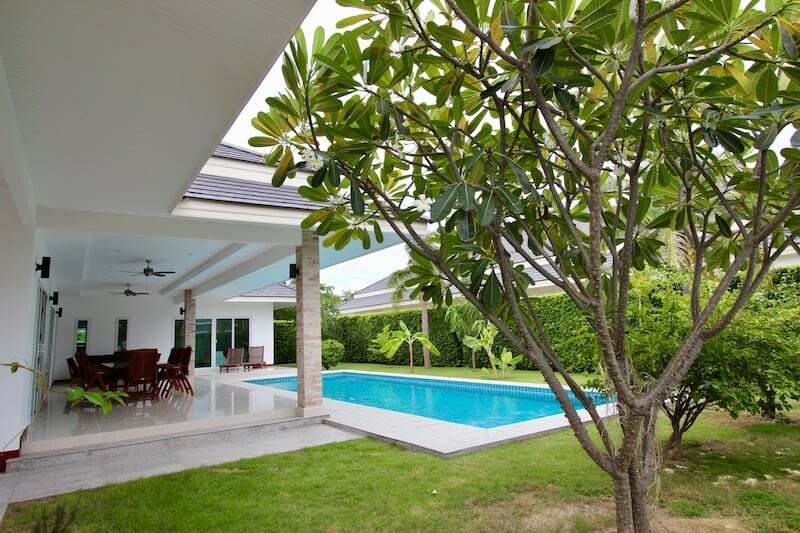 This luxurious PALM POOL VILLAS HOME FOR SALE comes with a high quality swimming pool, and is located in North Hua Hin within a completed development of similar high quality homes. 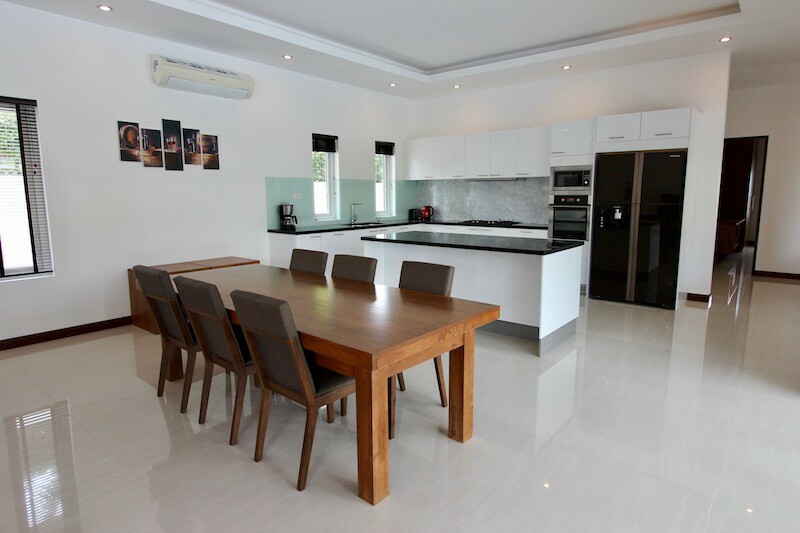 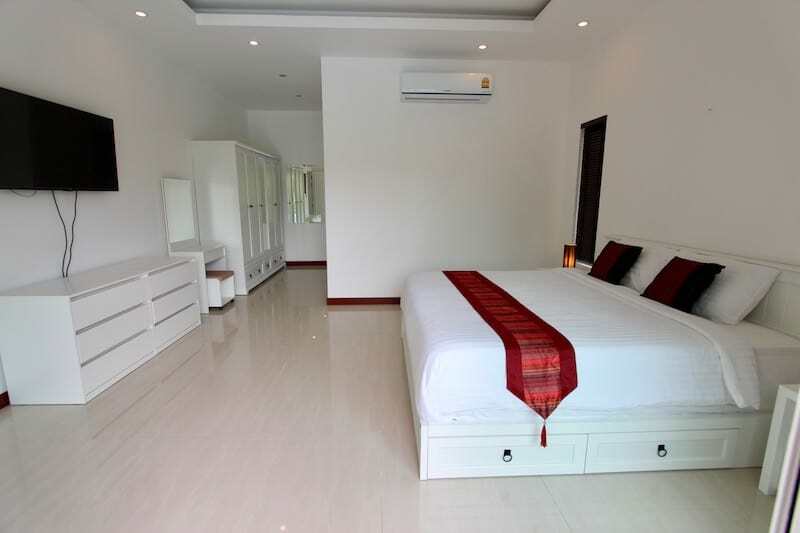 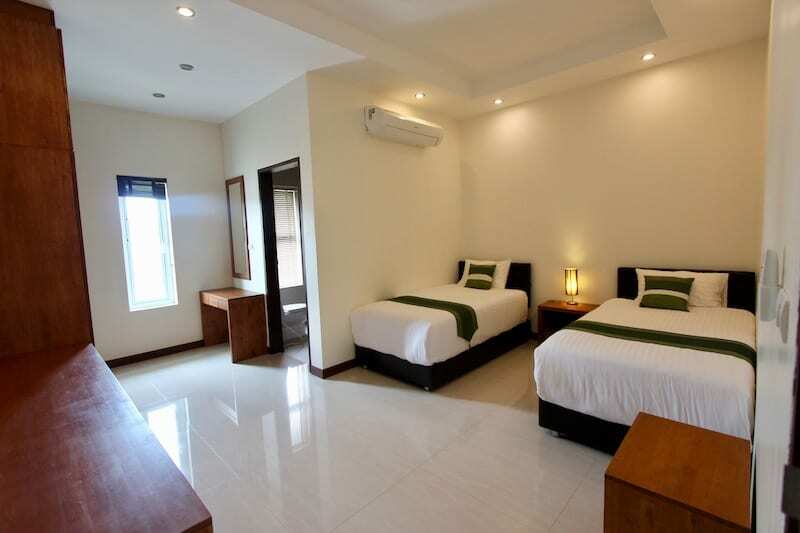 The prestigious Palm Hills golf course is less than 1km from the house; the beach is about 2km; and downtown Hua Hin is approximately 10 minutes. 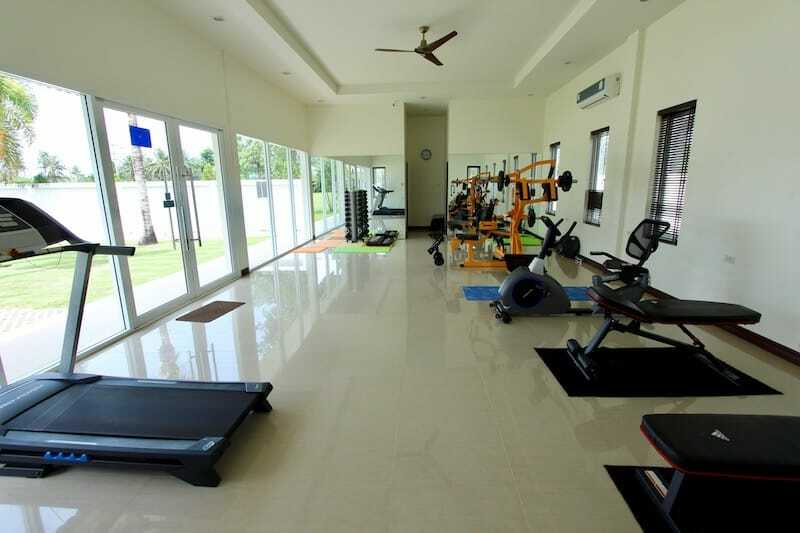 The development has wide public roads, good infrastructure, a fully equipped fitness center, large communal gardens, and 24 hour security. 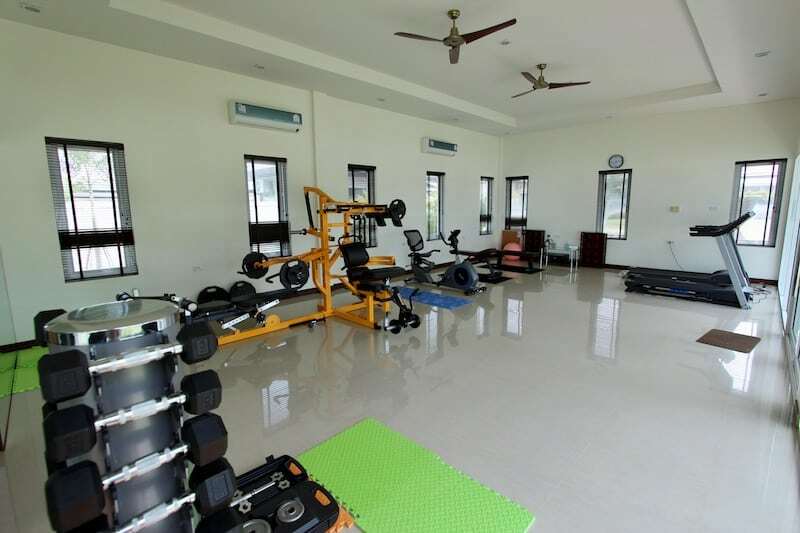 And the best part is that the residents have very low communal fees. 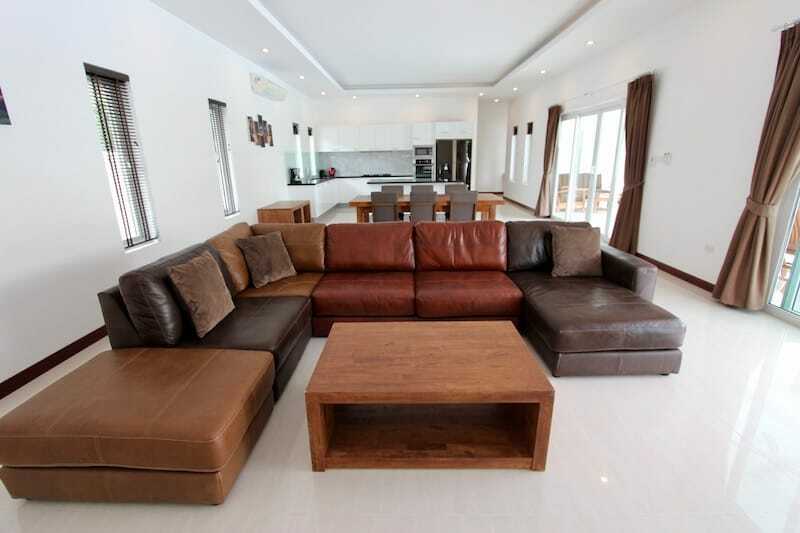 The property enjoys spacious living areas throughout and includes a huge covered terrace, a 4 x 12 m swimming pool, a landscaped garden, a covered carport with laundry and storage rooms, and a motorized entrance gate. 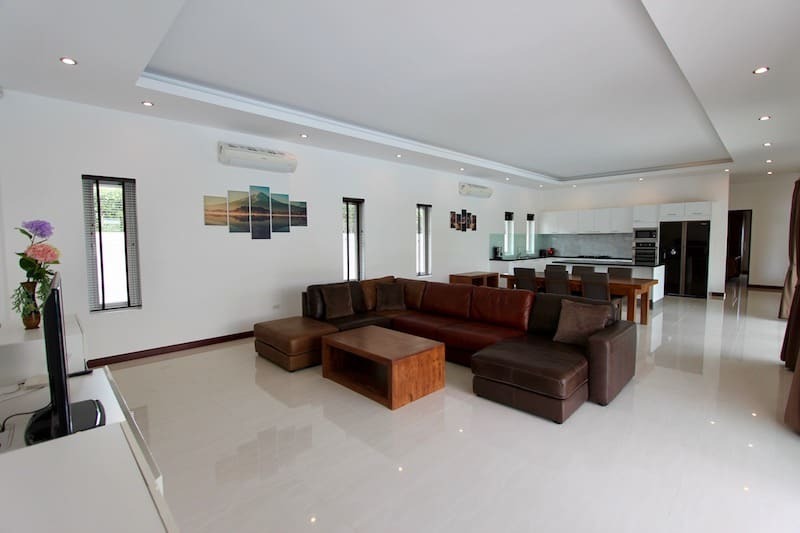 The internal living area consists of an open plan living and dining room, a modern kitchen, and 3 large bedrooms, all en-suite. 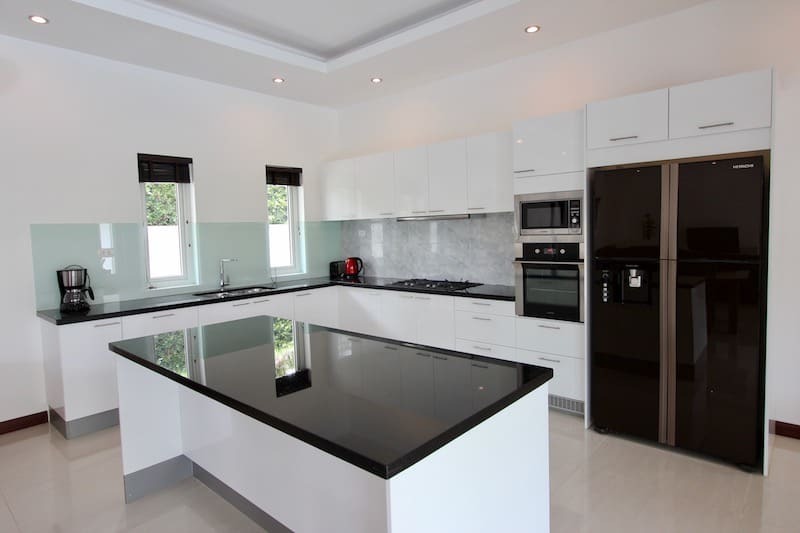 The kitchen has high gloss cabinets, granite countertops, a lot of storage and prep space, and high quality appliances throughout. 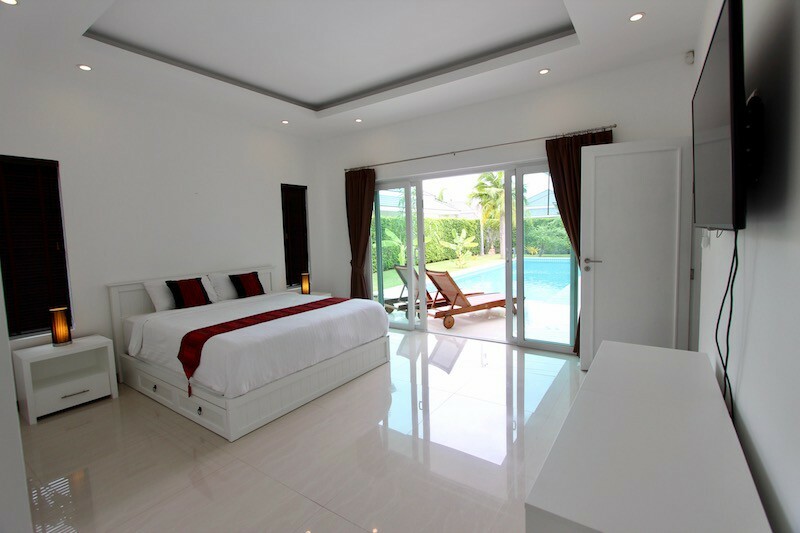 The master suite has direct access to the terrace and swimming pool. 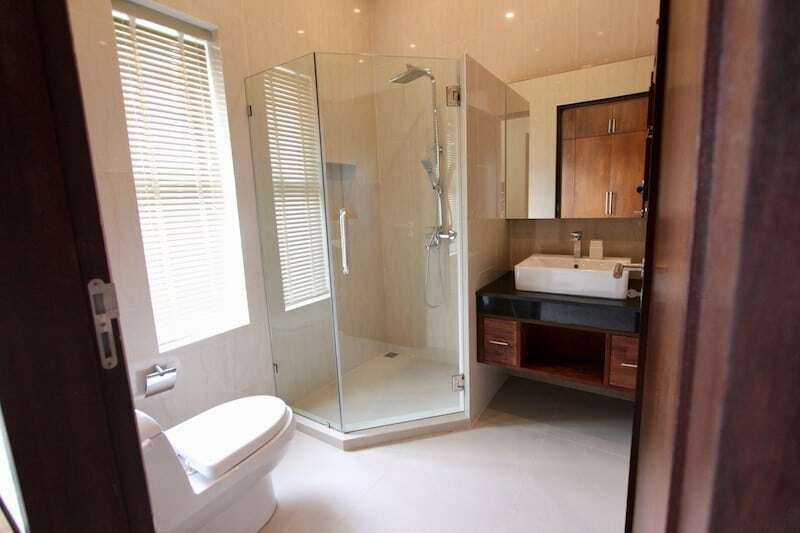 There are also large wardrobes and an en suite bathroom with double sinks, a walk-in shower and a bathtub. 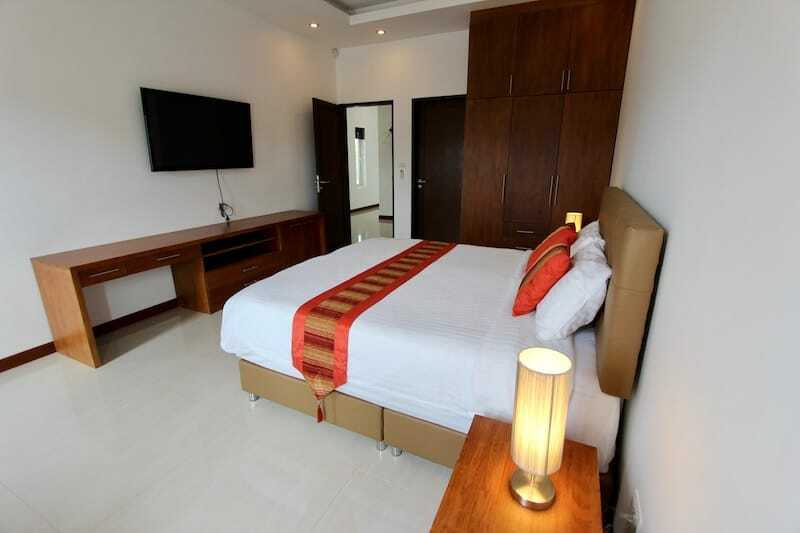 The other 2 guest bedrooms each have built-in wardrobes and en-suite bathrooms. 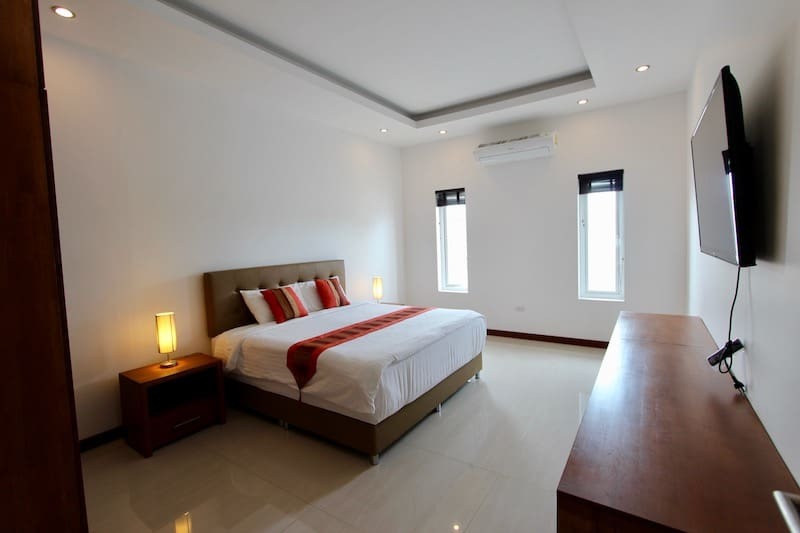 There are ceiling fans and AC units in each room for added comfort. 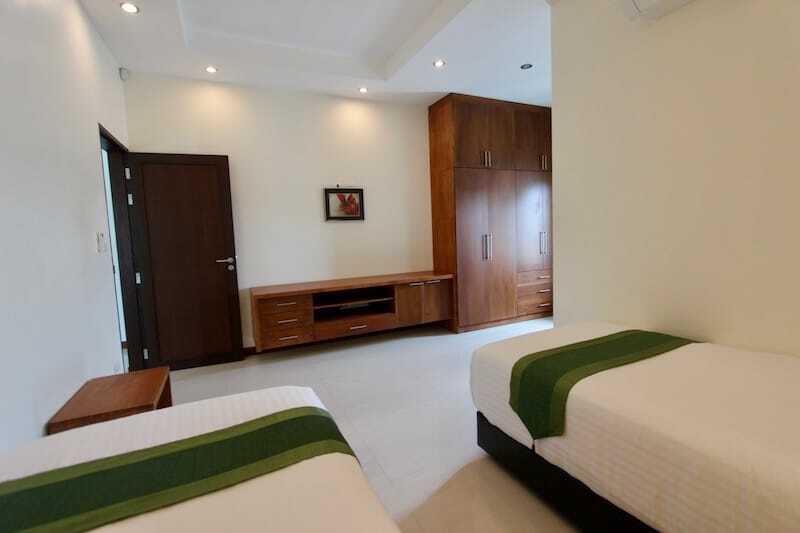 The walls are constructed from German super block for better insulation, and all the doors and windows are high quality UPVC with double-paned glass and Argon gas in between to keep the heat out. 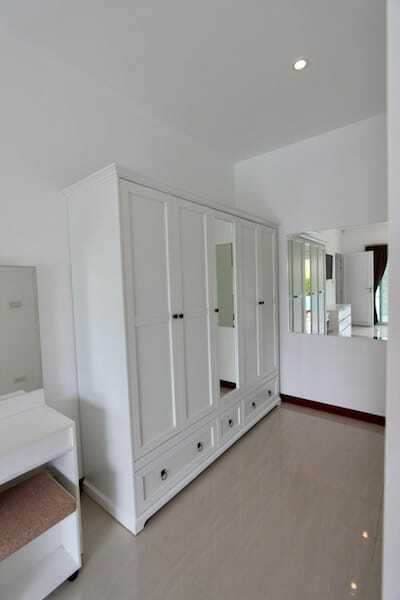 The home is sold fully furnished with high quality furnishings. 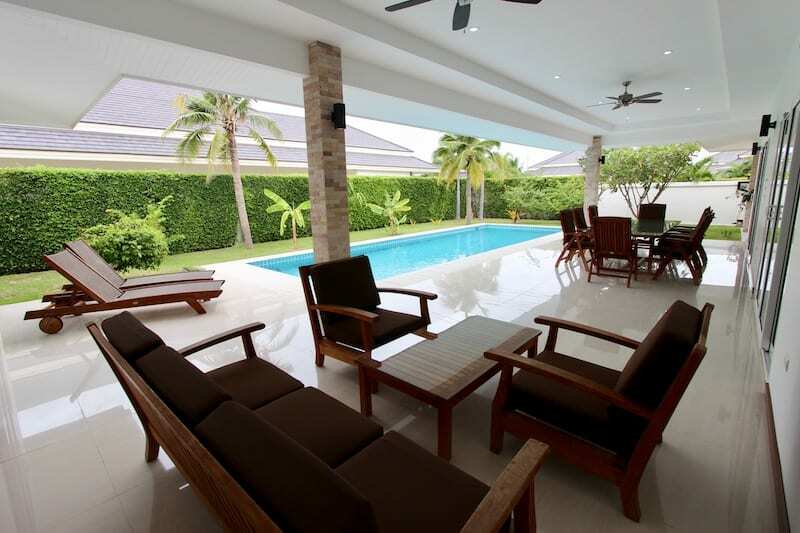 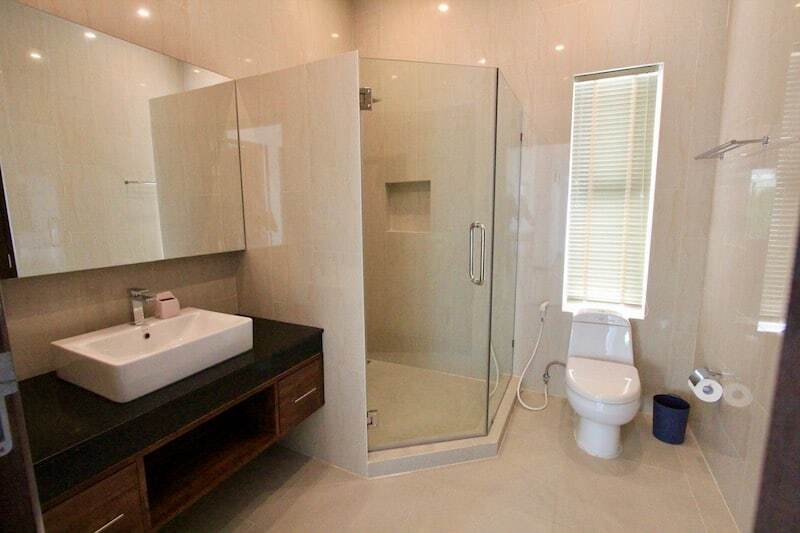 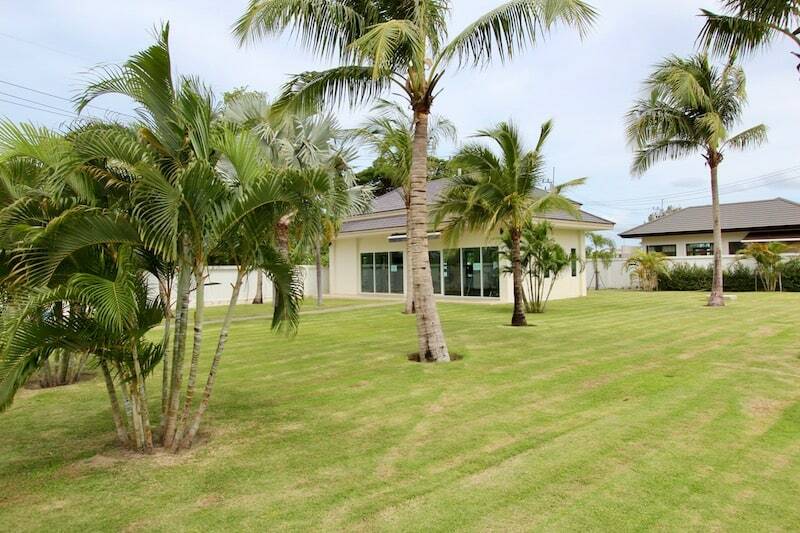 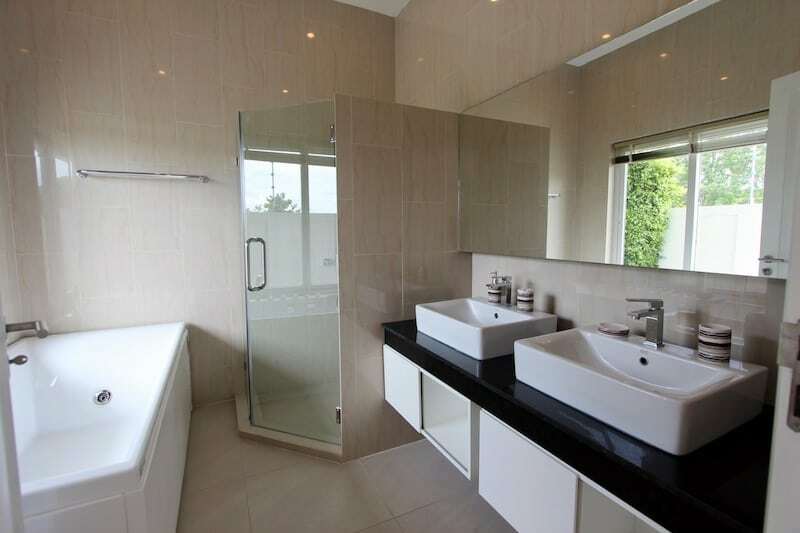 For more information and to schedule a viewing of this Hua Hin home for sale, please contact Executive Homes Hua Hin at +66(0)85.264.2158.